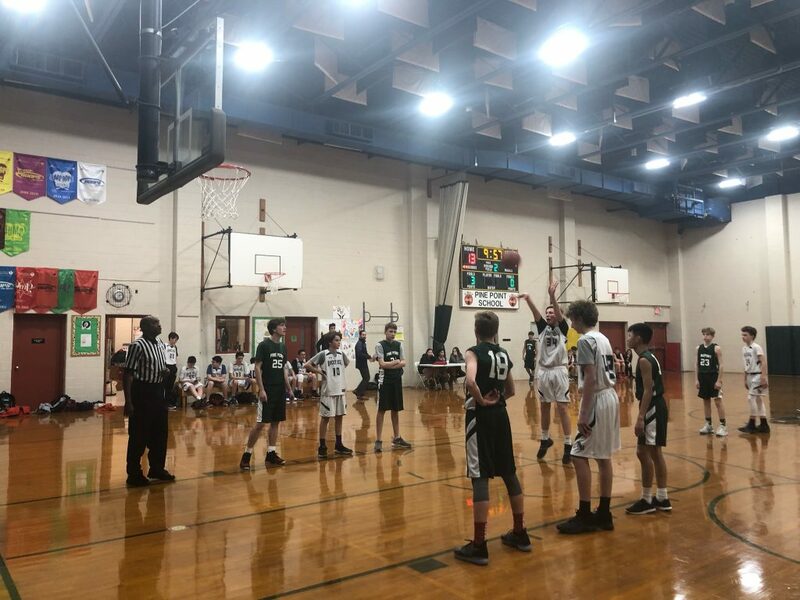 The Rocky Hill middle school boys basketball A-Team traveled to Pine point for their fourth game of the season. The boys ran a box and one defense. Brennan Hill and Colin Zito we’re assigned the task to shut down Pine Point’s best player. They held him to zero points. Colin finished the day with two points and Brennan with four points. Andrew Hogan scored two points in the second half and had a rebound. Hadley Martinez had four points and five rebounds. Derek Block had twelve points and four rebounds. Ben Lawson had four points and two rebounds. Alex Lehouiller was 100% from the foul line. He completed eight foul shots. He also had four points from the field and nailed a three pointer. He finished the day with a total of 15 points. The boys are now 2-2 a great improvement from last year. The final score was 40-22 Rocky Hill for the win. The boys will play their next game away at Barrington Christian Academy.